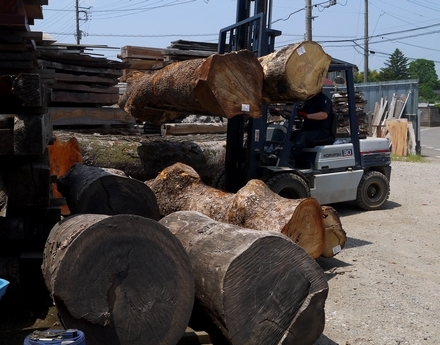 Today we delivered wood for carving to a sculptor, Yoshitoshi Kanemaki. 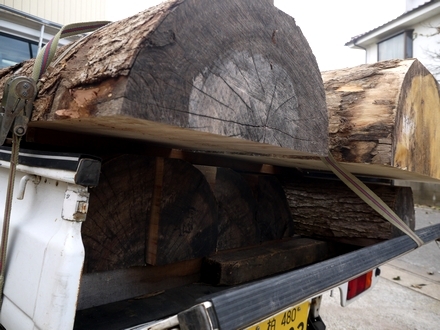 This delivery was of two types of wood, Camphor and Japanese Nutmeg. 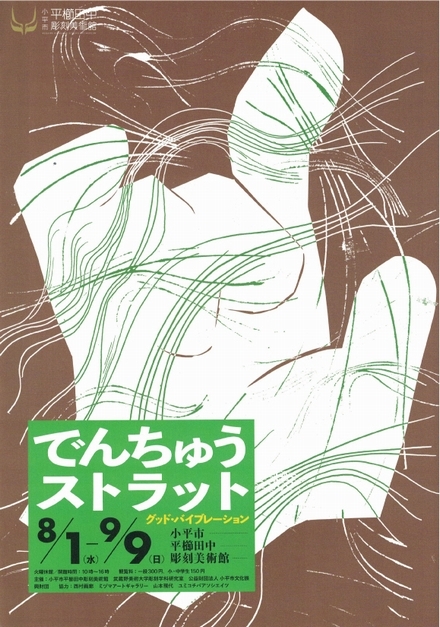 This is a link to Kanamaki-san's Facebook page: https://www.facebook.com/kanemaki.yoshitoshi/ You can take a look at his work! 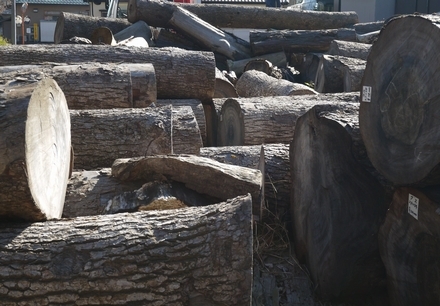 Kiraku Mokkobo offers a wide selection of trees for sculpting. 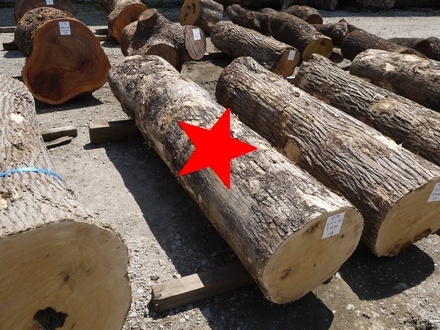 You can check the photo, size, price, and tree type of 121 logs on the list on our website. 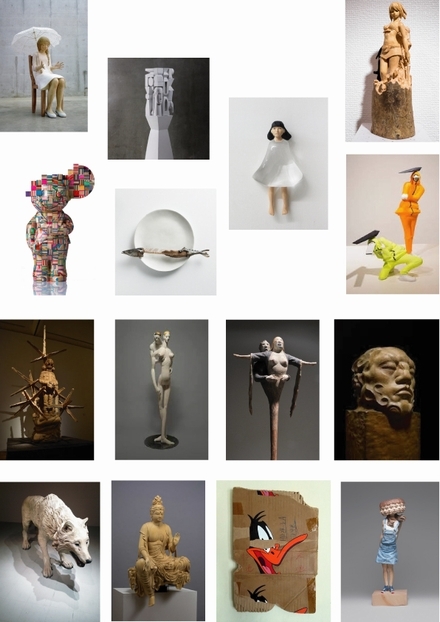 https://www.kirakumokkobo.com/forsculpture.html We offer free delivery for orders over 30000 yen! 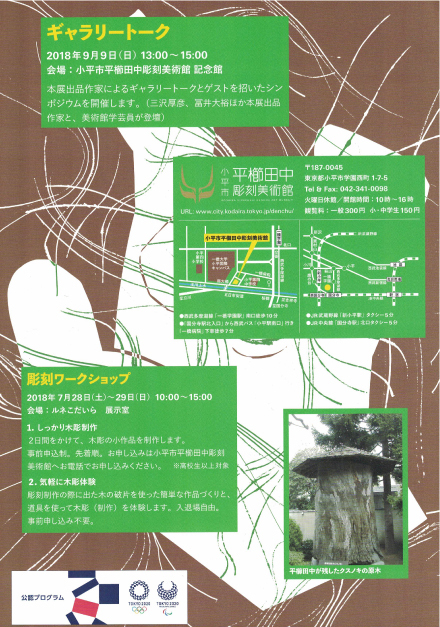 Please call 090-7703-5538（10:30-18:00, Oyama）for more info! 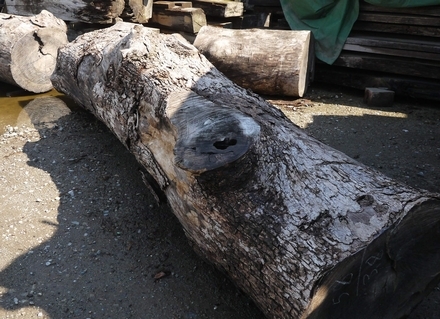 We have 31 new logs for sculpting and carving at the store! 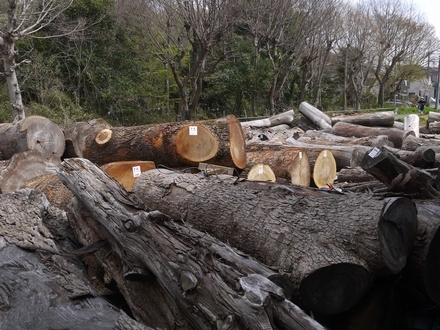 The logs include Camphor, Mulberry, Japanese Nutmeg, and Zelkova. 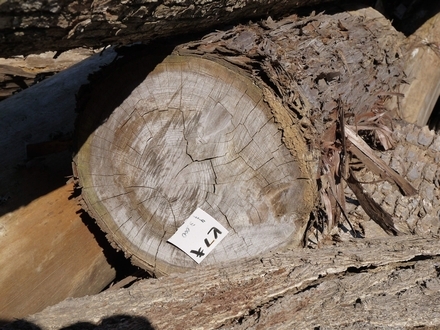 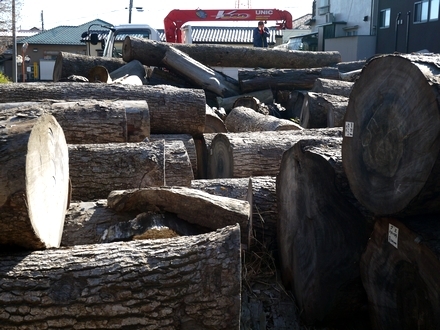 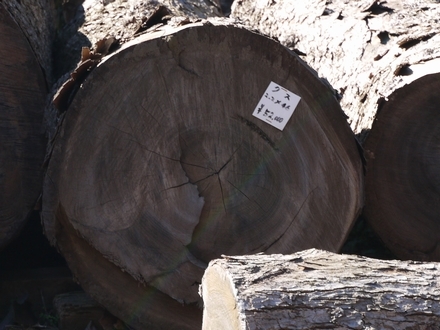 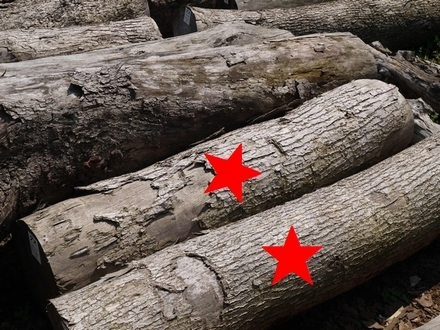 Every log and its size, price, and photo has been listed on our homepage. 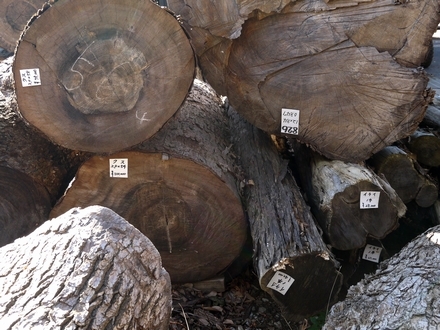 The newly added logs are #87~117. 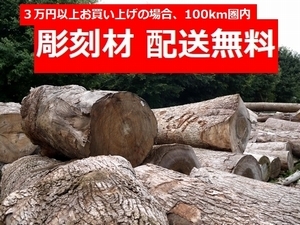 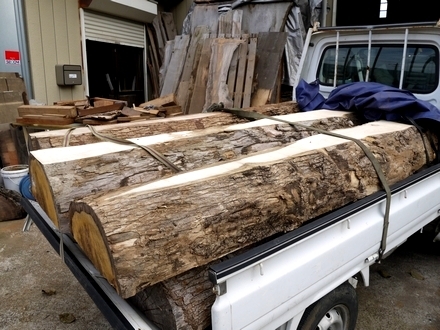 Delivery of all sculpting logs in the Kanto area is free of charge at the Kiraku Mokkobo Workshop! 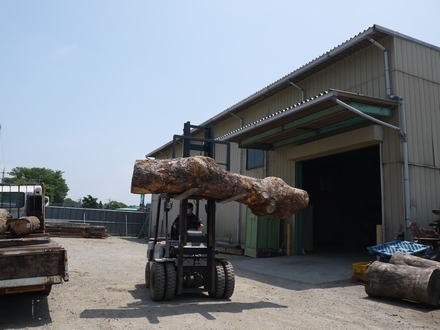 We bought mamy large logs, as material for sculptures. 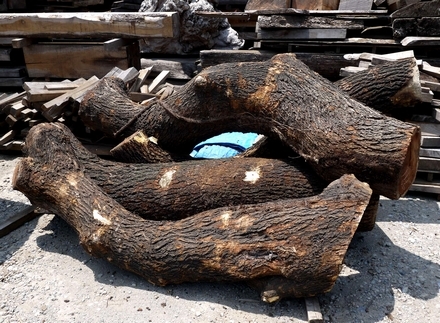 They are Camphor, Mulberry, and Kaya. 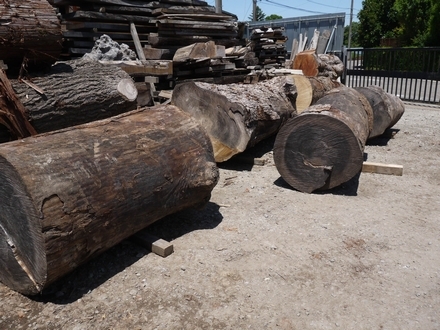 We have a lot of sculpture logs. 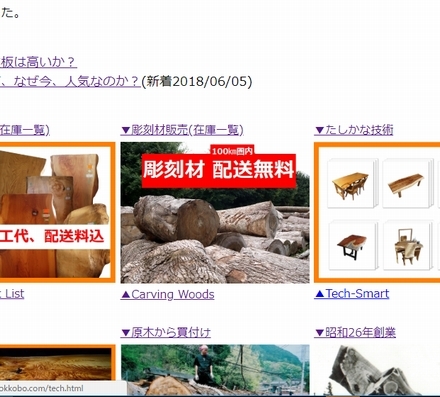 For the list, please click here. 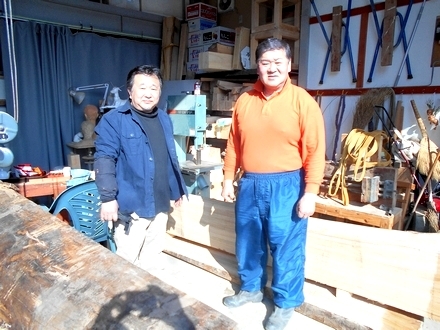 The last photo is of a sculptor of the name Tatsuya Shimazaki(Left). 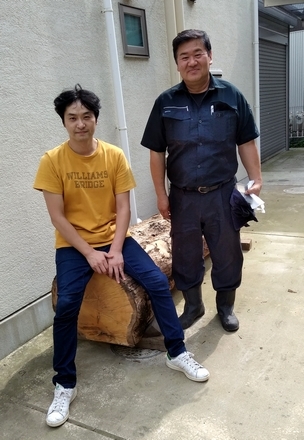 He is one of our customers. 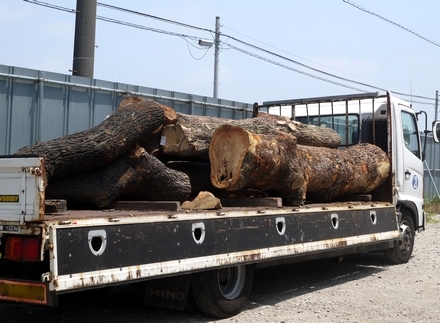 We made a delivery of camphor log to him last month. 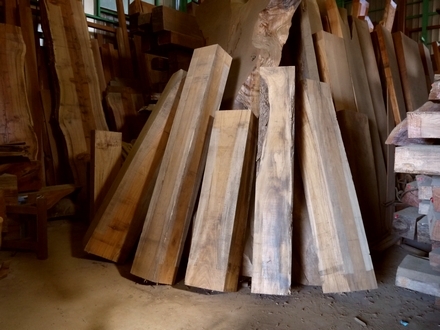 Camphor is prefered for sculpting because it is soft and easy to curve. 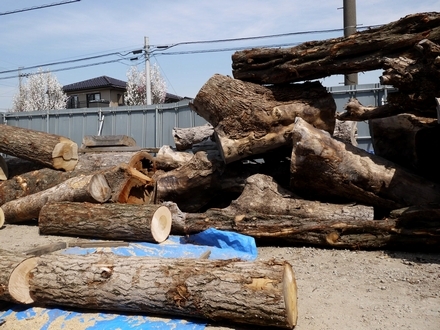 This is the Kiraku Woodworkshop' storage area for sculpture material. 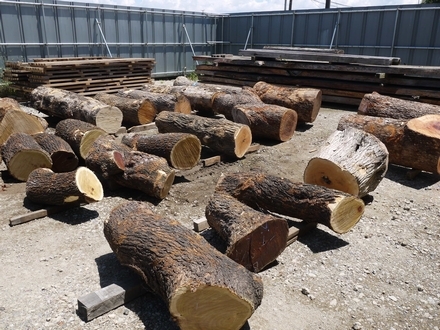 All of these woods are for sculptures. 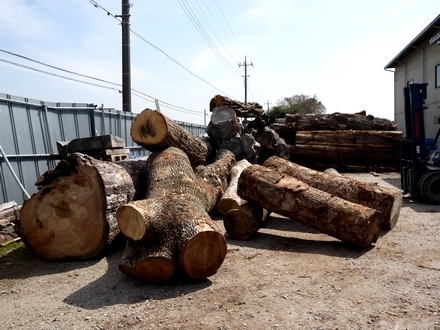 We have Camphor tree, Kaya, Yew, Mulberry, Ginkgo. 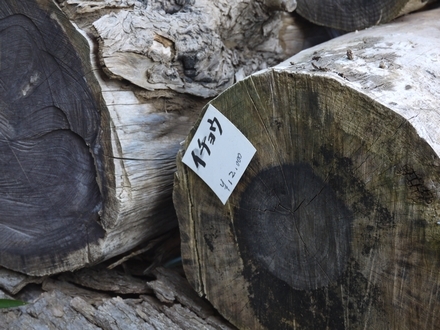 Every wood has a price tag on it so that customers can easily know how much the wood costs. 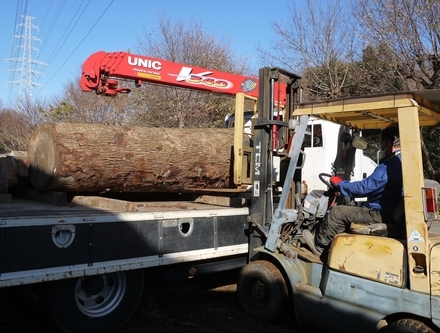 We deliver for free in the Kanto area.